Corum, James S. (2013). "The Luftwaffe's Campaigns in Poland and the West 1939–1940: A Case Study of handling Innovation in Wartime". Security and Defence Quarterly (1): 158–189. doi:10.5604/23008741.1191778 (inactive 2018-09-08). Tadeusz Kutrzeba was a general of the army during the Second Polish Republic. He served as a general in the Polish Army in overall command of Army Poznań during the 1939 German Invasion of Poland. Tadeusz Kutrzeba was born in Kraków, a part of Austria-Hungary and his father was a captain in the Imperial Austrian Army. In 1896, he was admitted to a school for children in Fischau near Wiener Neustadt. He continued his studies in the city of Hranice, Kutrzeba completed his secondary education in 1903. He graduated with distinction from the Military Technical Academy in Mödling and was commissioned as a second lieutenant, on account of his performance in school, he was given the option of choosing the location of his first posting. He chose to return to his native Kraków where he was posted from 1906 to 1910, in 1910, Kutrzeba continued his military education in Vienna, studying engineering, and was promoted to the rank of lieutenant in 1911. From 1913 to 1914, he was posted to Sarajevo, where he witnessed the immediate catalyst for the outbreak of the First World War, at the outset of World War I, Kutrzeba commanded military forces in this Austro-Hungarian stronghold of Sarajevo. Later, he was sent to the Serbian front as a officer in the 2nd Mountain Artillery Brigade commanded by major general Ferdinand Komm. On 15 March 1915 he was sent to the Russian front as an officer for the German 24th Reserve Corps. During the middle of the war, he was promoted to the rank of captain, in June 1915, he was moved to the Italian front, among other posts, he was the inspector general of military fortifications in the Tyrol region. In July 1916, he was appointed as the chief of staff of engineers in the Archduke Eugene’s army group. In this capacity, he gained valuable experiences, not only by virtue of his assignment. On 1 August 1916 he was deployed to Transylvania, where he was appointed the general of Austro-Hungarian fortifications in the region. 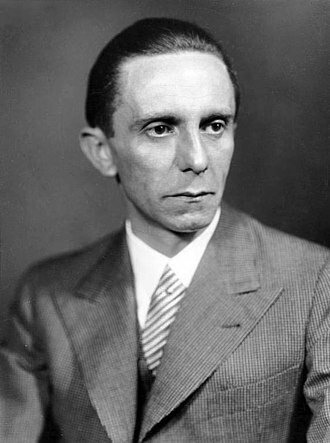 A month later, he was appointed an officer for the German 9th Army’s general staff. 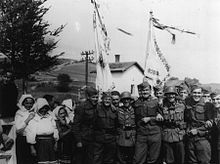 In April 1917, Kutrzeba returned to the Russian front as part of the German-led Austro-Hungarian 4th Army, as the army group was charged with protecting the Danube delta by the Black Sea, Kutrzeba used every opportunity to acquaint himself with practical military matters and coastal defense. 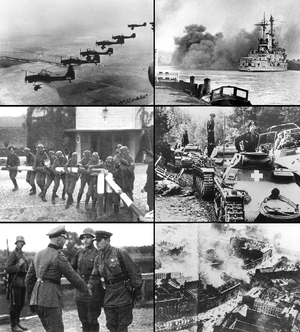 The Soviet invasion of Poland was a Soviet military operation that started without a formal declaration of war on 17 September 1939. 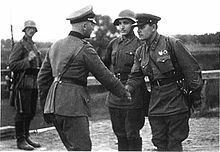 On that morning,16 days after Nazi Germany invaded Poland from the west, the joint German-Soviet invasion of Poland was secretly agreed in the Molotov-Ribbentrop Pact, signed on 23 August 1939. 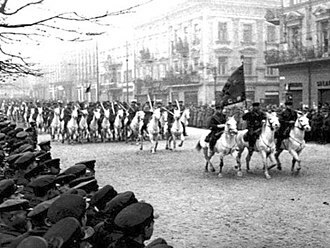 The Red Army, which outnumbered the Polish defenders, achieved its targets by using strategic. 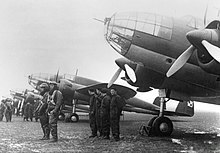 Some 230,000 Polish prisoners of war had been captured, the campaign of mass persecution in the newly acquired areas began immediately. In November 1939 the Soviet government ostensibly annexed the entire Polish territory under its control, the Soviet campaign of ethnic cleansing began with the wave of arrests and summary executions of officers and priests. 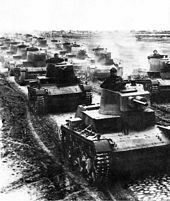 Soviet forces occupied eastern Poland until the summer of 1941, when they were out by the invading German army in the course of Operation Barbarossa. The area was under Nazi occupation until the Red Army reconquered it again in the summer of 1944, the Soviet Union enclosed most of the annexed territories into the Ukrainian Soviet Socialist Republic and the Byelorussian Soviet Socialist Republic. 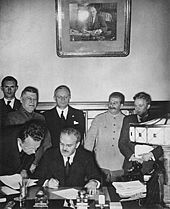 After the end of World War II in Europe, the USSR signed a new border agreement with the Polish communists on 16 August 1945. 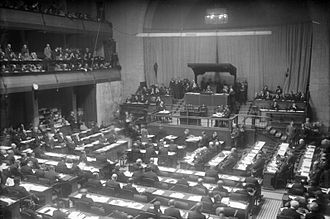 The USSR played a double game secretly engaging in talks with Germany. 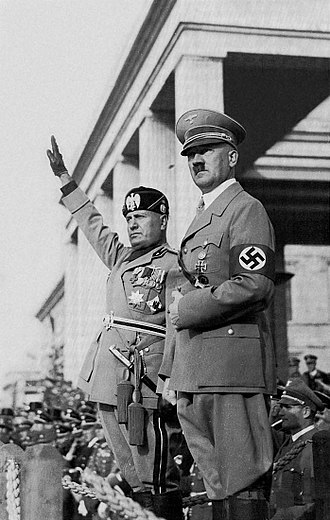 The terms were rejected, thus giving Josef Stalin a free hand in pursuing the Molotov–Ribbentrop Pact with Adolf Hitler, the non-aggression pact contained a secret protocol dividing Northern and Eastern Europe into German and Soviet spheres of influence in the event of war. 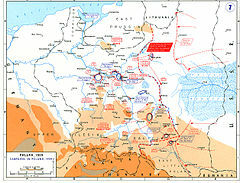 One week after the signing of the Molotov–Ribbentrop Pact, German forces invaded Poland from the west, Polish forces gradually withdrew to the southeast where they prepared for a long defence of the Romanian Bridgehead and awaited the French and British support and relief that they were expecting. 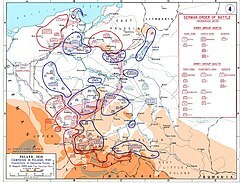 On 17 September 1939 the Soviet Red Army invaded the Kresy regions in accordance with the secret protocol, at the opening of hostilities several Polish cities including Dubno, Łuck and Włodzimierz Wołyński let the Red Army in peacefully, convinced that it was marching on to fight the Germans. Karl Rudolf Gerd von Rundstedt was a Field Marshal in the Wehrmacht of Nazi Germany during World War II. 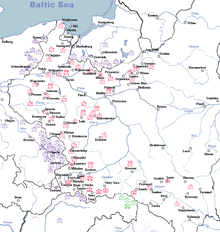 Born into a Prussian family with a military tradition, Rundstedt entered the Prussian Army in 1892. During World War I, he served mainly as a staff officer, in the inter-war years, he continued his military career, reaching the rank of Colonel General before retiring in 1938. 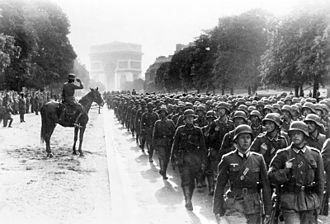 He was recalled at the beginning of World War II as commander of Army Group South in the invasion of Poland and he commanded Army Group A during the Battle of France, and was promoted to the rank of Field Marshal in 1940. 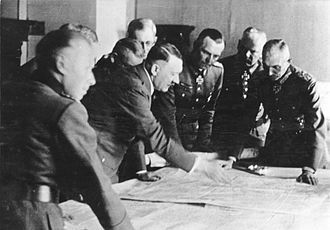 He was relieved of command in December 1941, but was recalled in 1942, Rundstedt was aware of the various plots to depose Hitler, but refused to support them. After the war, he was charged with war crimes, but did not face due to his age. 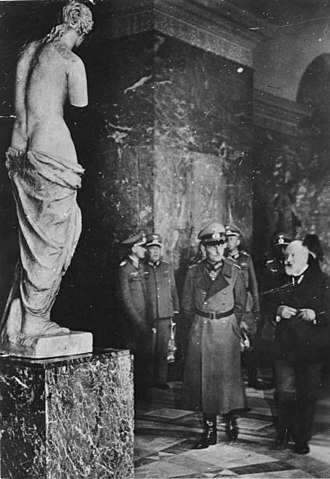 He was released in 1949, and died in 1953, Gerd von Rundstedt was born in Aschersleben, north of Halle in Prussian Saxony. He was the eldest son of Gerd Arnold Konrad von Rundstedt, the Rundstedts are an old Junker family that traced its origins to the 12th century and classed as members of the Uradel, or old nobility, although they held no titles and were not wealthy. Virtually all the Rundstedt men since the time of Frederick the Great had served in the Prussian Army, Rundstedts mother, Adelheid Fischer, was of Huguenot descent. He was the eldest of four brothers, all of whom became Army officers, Rundstedts education followed the path ordained for Prussian military families, the junior cadet college at Diez, near Koblenz, the military academy at Lichterfelde in Berlin. Unable to meet the cost of joining a regiment, Rundstedt joined the 83rd Infantry Regiment in March 1892 as a cadet officer. The regiment was based at Kassel in Hesse-Kassel, which he came to regard as his home town and he undertook further training at the military college at Hannover, before being commissioned as a lieutenant in June 1893. He made an impression on his superiors. In 1896 he was regimental adjutant, and in 1903 he was sent to the prestigious War Academy in Berlin for a three-year staff officer training course. At the end of his course Rundstedt was described as an able officer. The Organization of Ukrainian Nationalists was a Ukrainian political organization created in 1929 in Vienna and acting in Western Ukraine. The OUN sought to infiltrate political parties and other political structures. 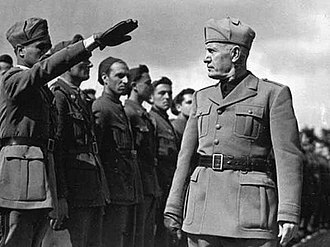 As revolutionary ultra-nationalists the OUN have been characterized by historians as fascist. 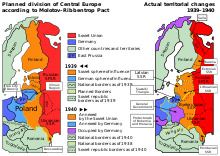 The OUNs strategy to achieve Ukrainian independence included violence and terrorism against perceived foreign and domestic enemies, particularly Poland, in 1940, the OUN split into two parts. The older, more members, supported Andriy Melnyk while the younger. 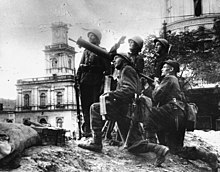 In response, the Nazi authorities suppressed OUN leadership, in October 1942 OUN-B established the Ukrainian Insurgent Army. 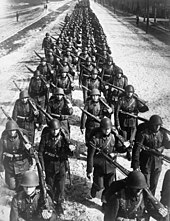 To preempt future Polish efforts at re-establishing Polands pre-war borders, in 1943-44 UPA military units carried out ethnic cleansing against Polish people. 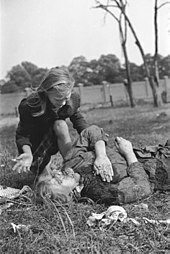 Historians estimate that 60, 000-100,000 Polish civilians were massacred in Volhynia, after the war, the UPA fought against Soviet and Polish government forces. During Operation Vistula in 1947, the Polish government deported 140,000 Ukrainian civilians in Poland to remove the support base for the UPA, in the struggle Soviet forces killed, arrested, or deported over 500,000 Ukrainian civilians. Many of those targeted by the Soviets included UPA members, their families, during the Cold War, the OUN was covertly supported by western intelligence agencies, including the CIA. 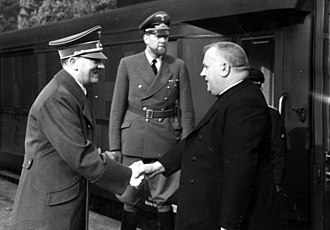 On the other hand, some argue that far-right or extreme-right aspects of modern OUN descendants are emphasized by political opponents for electoral purposes. 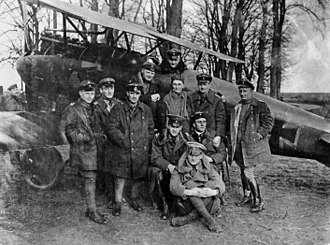 In 1919 with the end of the Polish–Ukrainian War, the Second Polish Republic took over most of the territory claimed by the West Ukrainian National Republic, the UVO was strictly a military organization with a military command-structure. Yevhen Konovalets, the commander of the elite Sich Riflemen unit of the Ukrainian military. 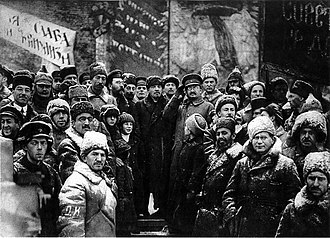 West Ukrainian political parties secretly funded the organization, when in 1923 the Allies recognized Polish rule over western Ukraine, many members left the organization. Westerplatte is a peninsula in Gdańsk, located on the Baltic Sea coast mouth of the Dead Vistula, in the Gdańsk harbour channel. From 1926 to 1939 it was the location of a Polish Military Transit Depot, the resort was established on the Westerplatte peninsula around 1830 which had a beach, a forested park, an ocean-side bath complex and health spa facilities. 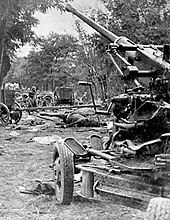 In 1925 the Council of the League of Nations allowed Poland to keep 88 soldiers on Westerplatte and they were armed with one 75 mm gun, two 37 mm Bofors antitank guns, four mortars and a number of medium machine guns. There were no fortifications, but several reinforced buildings and guardhouses equipped with heavy weapons hidden in the peninsulas forest. 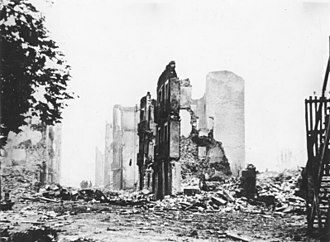 The Polish garrison was separated from Free City of Danzig by the harbor channel, in case of war, the defenders were supposed to withstand a sustained attack for 12 hours after which a relief from the main units of the Polish Army were to arrive. The Polish garrisons commanding officer was Major Henryk Sucharski, the officer was Captain Franciszek Dąbrowski. This was followed by an attack by Oblt, wilhelm Henningsen’s storm unit from the Schleswig-Holstein and the Marinestosstruppkompanie. 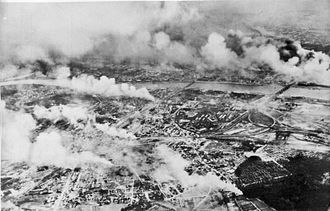 Another two assaults that day were repelled as well, with the Germans suffering unexpectedly high losses, over the coming days, the Germans repeatedly bombarded Westerplatte with naval artillery and heavy field artillery along with dive-bombing raids by Junkers Ju 87 Stukas. 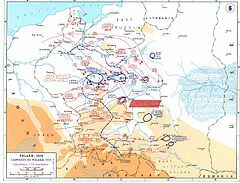 Repeated attacks by 570 German soldiers were repelled by the 180 Polish soldiers for seven days, Major Henryk Sucharski had been informed that no help from the Polish Army would come. 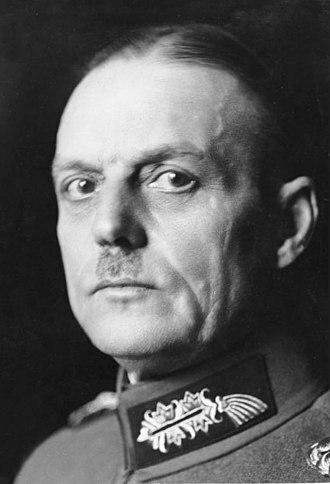 Cut off, with no reinforcements or chance of resupply, he continued his defense, keeping the main German force stalled at Westerplatte, on 7 September the Major decided to surrender, due to lack of ammunition and supplies. As a sign of honor for the soldiers of Westerplatte, German commander, Gen. Eberhardt, the ruins of the defenders barracks and guardhouses are still there. After the war, one of the guardhouses was converted into a museum, two 280mm shells from the Schleswig-Holstein prop up its entrance. Lubusz Land during the Piast period (marked in yellow). Polish city names in Silesia; from a 1750 Prussian official document published in Berlin during the Silesian Wars. Marking the new Polish-German border in 1945. 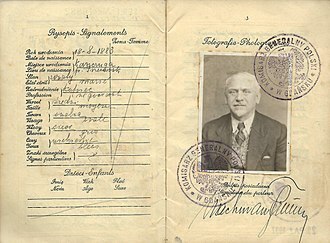 Polish passport issued at Danzig by the "Polish Commission for Gdańsk" in 1935 and extended again in 1937, before the holder immigrated to British Palestine the following year. 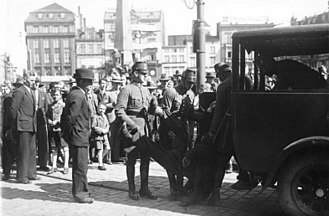 Danzig police arrest a protester in the aftermath of the 1933 Parliamentary Elections. 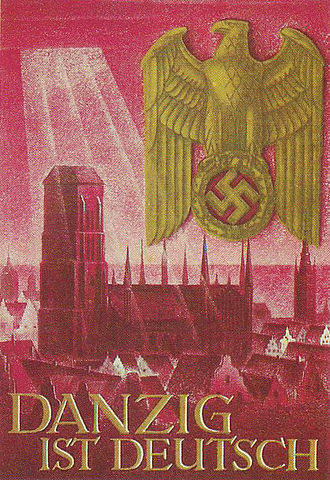 Population density of Poland and the Free City of Danzig (Gdańsk), 1930. 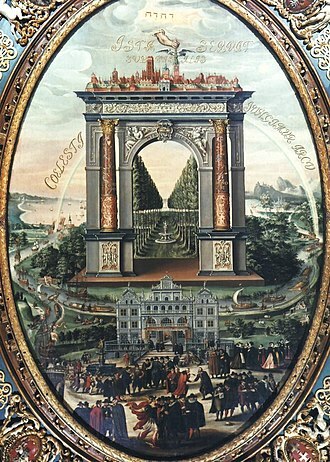 Apotheosis of Gdańsk by Izaak van den Blocke. The Vistula-borne trade of goods in Poland was the main source of prosperity during the city's Golden Age. Image: Bundesarchiv DVM 10 Bild 23 63 47, Linienschiff "Schleswig Holstein"
A monument to Poznań army in Poznań. Forces as of 14 September with troop movements up to this date. General Igor Rodionov, seen here while serving as Minister of Defence, commanded 5th Army from 1983 to 1985.